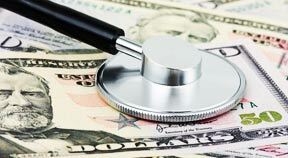 Like many industries, healthcare providers were hit hard during the recession. Cuts in the amount of reimbursements have left many doctors struggling to cover costs for medical equipment, medications, and staff. There are many factors threatening the survival of private medical practices. Rising business costs, changing healthcare regulations, and shrinking physician reimbursement are among the factors many say are leading to the demise of the private practice. and implementing and/or optimizing an accountable care organization (ACO). Like many industries, healthcare providers were hit hard during the recession and they are still staggering. Fewer patients are coming in for primary care and others can’t pay their bills. Instead of being paid by patients, healthcare providers are being reimbursed by third-parties such as insurance companies. Thus, doctors are not setting their own prices and are paid only what the third-party vendors deem appropriate. More and more physicians see hospital-based practice as the safest and more economically secure route today. They are also feeling the pressure to invest in electronic medical record systems. Larger medical systems can more easily adopt electronic medical records, whereas smaller independent practices might have trouble implementing the records. Some physicians are also frustrated with having to learn new electronic medical record systems and technology. Meanwhile, fewer new physicians are choosing to open or join private practices, which has caused many experienced physicians to also fear that they will not be able to recruit young doctors. With so many operational and financial challenges at their front doors, many private practice physicians are choosing to close shop and join hospital-owned health systems themselves. According to American Medical Association news, hospitals increased their physician hiring in 2011 and there are no signs of this trend slowing in 2012, as physician hiring becomes a major strategy for hospitals preparing for healthcare reform. Busbee adds that most physicians entering the workforce do so with substantial debt, making a salaried hospital job more appealing for them. The economic pressures contributing to doctors’ migration from private practice to hospital-owned health systems does not look like it will be going away any time soon. But, there is still a place for private practice within the medical landscape. Some say it is more important now than ever for independent physicians to focus on the business and entrepreneurial aspects of their practice.